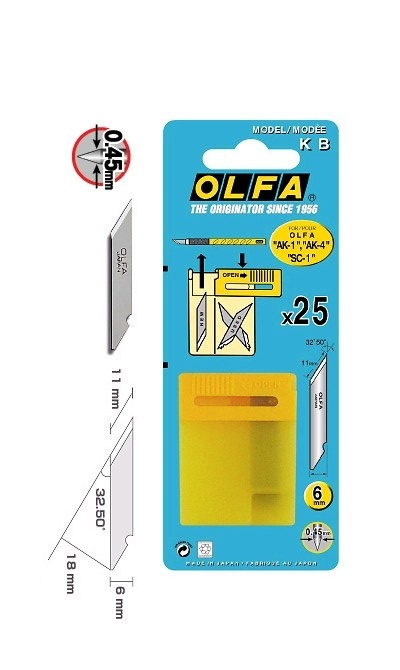 25 blades for standard and professional art knife in a plastic case. Blister packed. Compact cutter knife 9 mm. Includes a pocket clip/blade snapper and one blade AB. General cutting, paper, plastic film, shrink-wrap, etc..